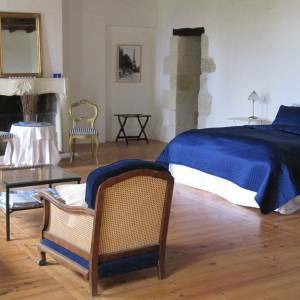 Le Chateau Petit Servanches offers 3 beautiful guest suites suitable for 2 to 4 people. Each suite has been carefully and stylishly renovated and decorated with attention to the smallest details. The rooms are all equipped with TV, wifi, coffee and tea. Breakfast is included in the price. Possibly you can use our table d'hôtes. 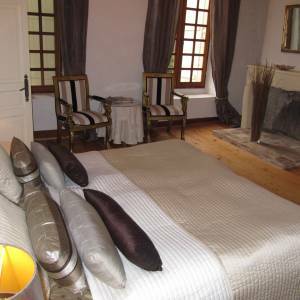 Click on the pictures of the different rooms for more details and prices. A beautiful suite for up to 4 people with a large seating area. Click here for detailed information and prices. This beautiful old-style room is for 2 people. Click here for a detailed description and prices.